And this is what happens if you put a big pile of fresh laundry right out of the dryer on the bed. 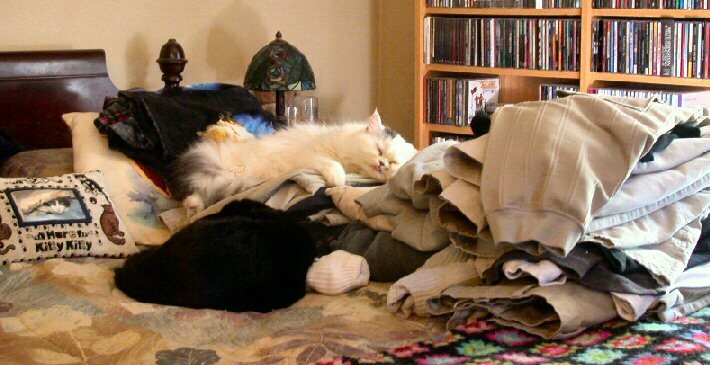 Not much later you will have two kitties sleeping on top of the laundry. :) I have learnt my lesson and usually try not to put anything black on the top layer so they won't get their fur all over it. Aren't they cute ?